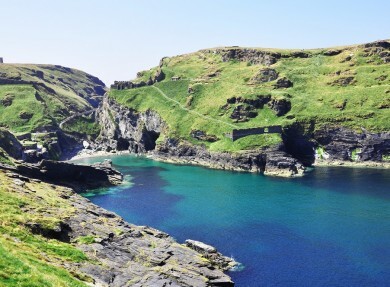 Arriving at Tintagel Castle sets the scene for a dramatic encounter. Steps hewn from the hillsides lead you down the cliff-face where you cross the narrow bridge which joins the rocky outcrop with the mainland. Then you enter through a gate which takes you into the remains of the Great Hall of the castle built in the 1230s by Richard, Earl of Cornwall and the younger brother of Henry III. 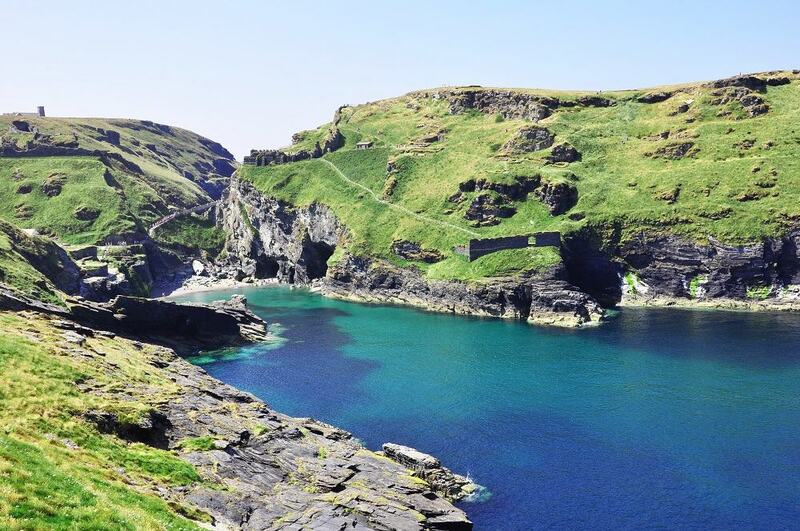 This is the stuff of legends and you can understand why Tintagel Castle is so closely aligned with the story of King Arthur. 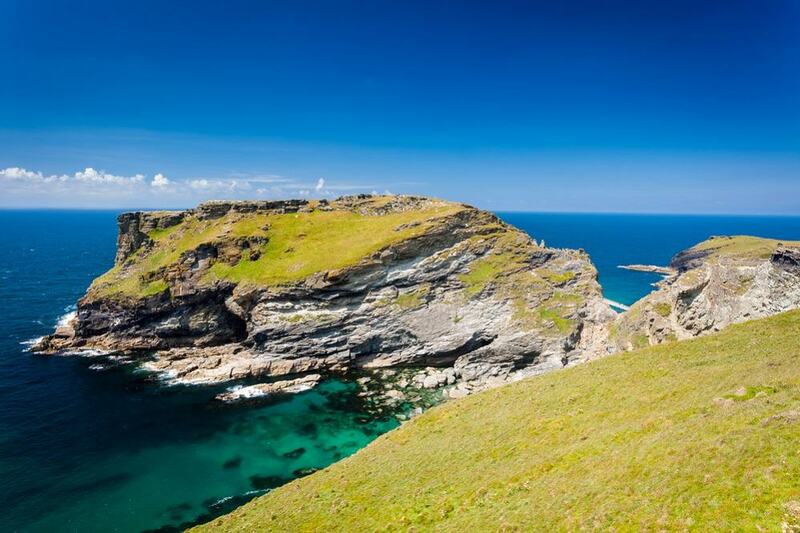 There is certainly plenty of evidence of its importance – the location and supplies of fresh water made it easy to defend and archaeologists in the 1930s uncovered signs that there was a thriving community here in the 5th to 7th centuries when there was trade with Mediterranean countries. 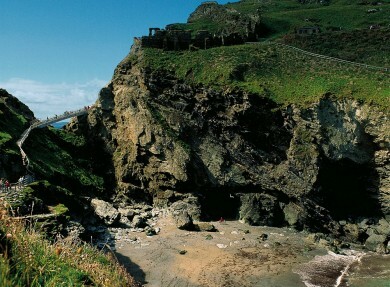 There is some sign of Roman activity at Tintagel and remains dating back to the Dark Ages. An interesting place to see and explore when visiting Cornwall, the castle offers a fascinating and mystical atmosphere. There’s a peaceful spot where you will find the remains of a chapel dedicated to early Celtic saint Juliot which predates the castle by a century. It has extensive views – including towards Hartland Point. 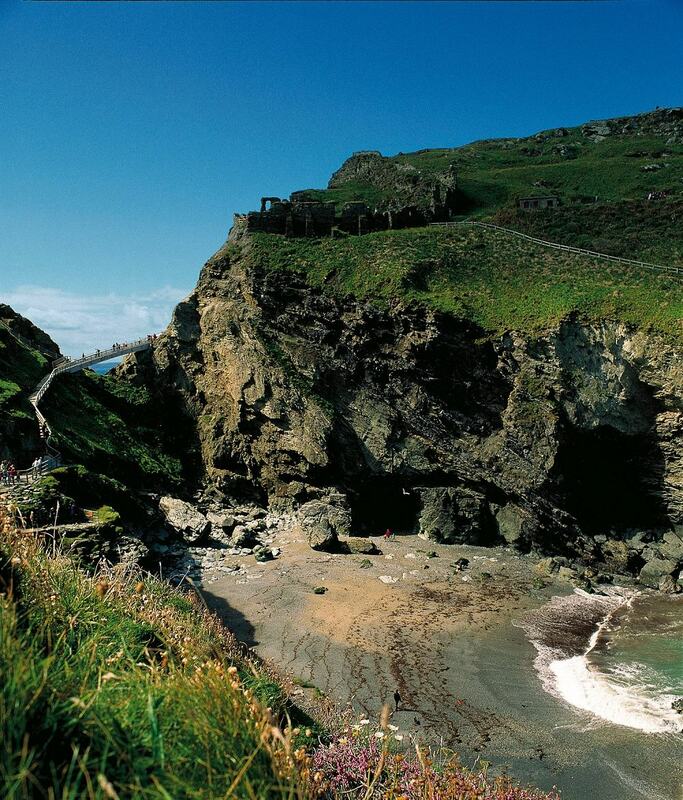 At low tide you can head to the beach and visit Merlin’s Cave which was discovered in the 19th century.